SHORT GLASS AND METAL VASE by Accent Plus home decor, jewelry, decor, decorations, electronics, fountains, floor mats, art glass, vases, garden essentials, fireplace screens. 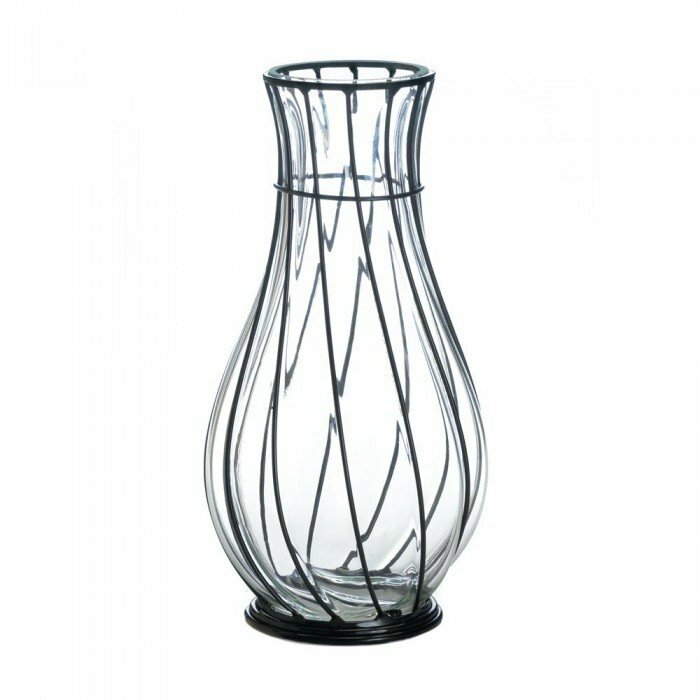 The alluring curves of this glass vase are highlighted by the beautiful dark metal framework that twirls around from bottom to top. A beautiful bouquet of flowers will be the crowning beauty of this unique accent. Material(s): IRON GLASS. Weight 1 pound. Dimensions 6.5" x 6.5" x 9.25".